Small piece of fabric, feels like silk. 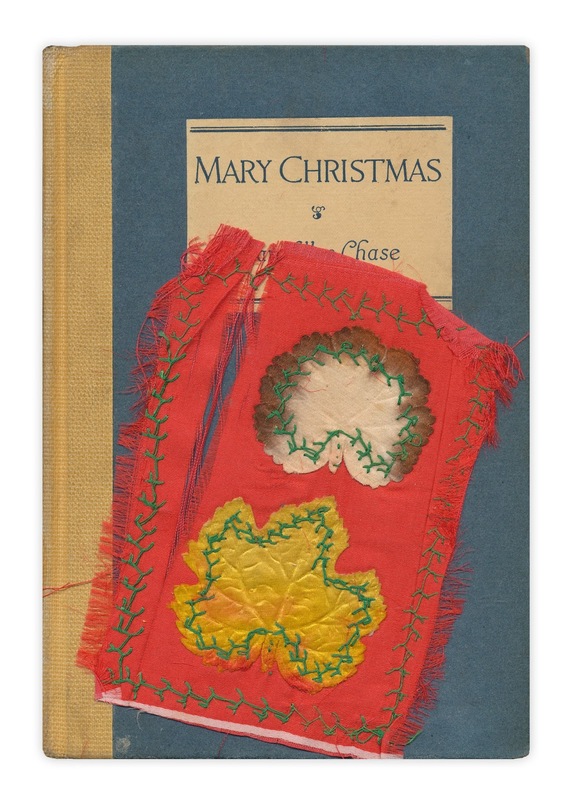 Found in "Mary Christmas" by Mary Ellen Chase. Published by Little Brown, 1926. It looks like the owner was practicing the feather stitch. It was used on the two appliques, and for outlining as well.